Not only do children grow and develop at extraordinary paces, but they learn information quickly as well. A child who is exposed to multiple languages at a young age has a much easier time processing and remembering the information they receive, but why is this? And why do we lose this ability as we grow older? I often ask myself this question because I am in the middle of learning a new language myself (Spanish) and I find it very difficult at times. I could hear a word 100 times over and know what it means but when I’m asked to match the word to its meaning on a test, I find my brain drawing a blank. The only thing I’m able to think of is the English term because that comes much more naturally to me. I always wished to be exposed to Spanish at a younger age so I would have a much easier time now. According to oncology nurse, Suzanne Robin in her article “Why Is It Easier for a Child to Learn a New Language Than An Adult” she lists several reasons as to why children learn languages so easily. 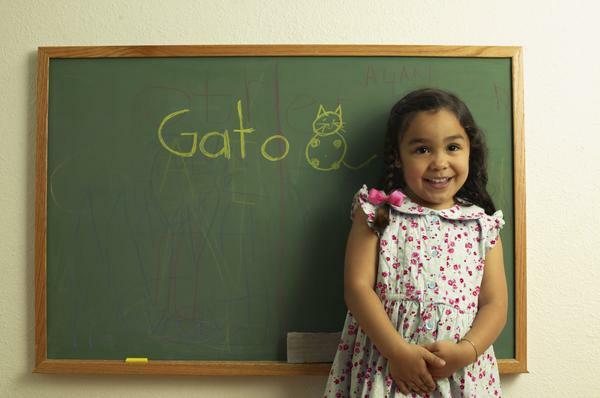 For a child, learning language is part of their brain chemistry. They are literally built to absorb information; they do this in an unconscious state of mind, like they’re learning and they don’t even know it. Adults and older children, on the other hand, have to consciously learn the information which makes it harder because when we learn that way, information sometimes gets lost or disassociated. To make this easier to understand, think of it like listening to a song. When you listen to a song enough times, you learn the rhythms and lyrics whether you like it or not; this is unconscious learning, similar to how children learn languages. However, when you are reading to study for a test some or all of the information is not absorbed, this is because you are making a conscious effort to learn which makes it harder for your brain to gather information. Learning languages as a child is also easier because there’s much less complex information to digest. When you learn at a young age, you usually only learn to associate words with their meanings. When you’re an adult, you have to do that as well as learn all of the grammatical rules thus making a second language harder to learn. Another simple and obvious reason as to why children find learning languages easier is their diminished levels of self-consciousness. They aren’t afraid to sound like idiots and learn from their mistakes. They take pride in practicing out loud, even if they sound dumb. This can be very beneficial in helping the brain absorb information. Although these are supportive facts for why children could learn languages easier, I’m questioning why adults can’t just adapt to this behavior and perhaps learn better themselves. It’s obvious they aren’t going to be able to rewire their brains back to when they were children so they can absorb information easier, but is it possible to teach them like we’d teach children? Instead of learning everything at once, maybe we should teach them little by little. It would take longer but I believe it’d make learning a language much more enjoyable and easy. Robin, Suzanne. “Why Is It Easier for a Child to Learn a New Language Than an Adult?” Everyday Life. Global Post, n.d. Web. 07 Sept. 2014. <http://everydaylife.globalpost.com/easier-child-learn-new-language-adult-15590.html>. This entry was posted in Uncategorized on September 7, 2014 by Tiffany Elizabeth Breon. I can say from my personal experience that is easier to learn a new language when you are little. I’m a first language spanish speaker and I took english since pre-k, making it easier for me to speak both languages. I think it was because I was exposed to both languages since I was a 4 years old. Also, spanish is not as easy as it seems. This is interesting because I never understood why it was so easy for children to learn and so difficult for someone like me or an adult to learn. I’m also taking spanish and often find myself clueless and in denial that I should have to learn another language when I already speak one. I do agree with that fact that older students and adults don’t want to sound stupid because I personally am guilty of holding back from speaking aloud in a foreign language. The article in the link I posted below agrees with younger kids learning faster however, it suggests a brief critical period in an infant’s development stage where the brain is exceptionally able to learn words and their languages, more than they will ever be able to again in their lives.